Dwelling - 4,000 sq. ft. 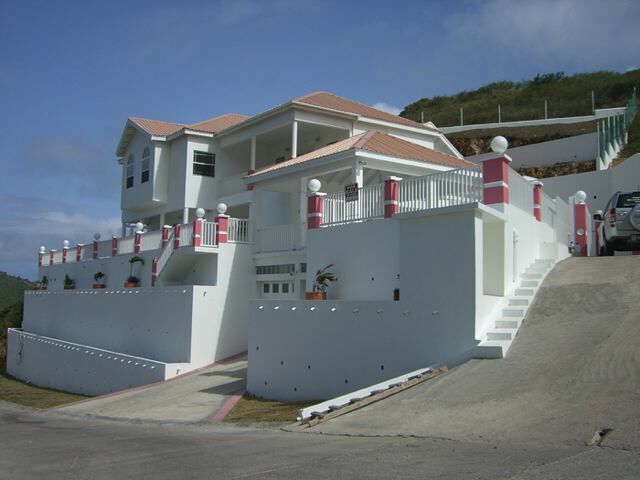 This spacious property overlooking Frigate Bay offers stunning views to be enjoyed from the pool, verandas and gazebo. The entrance level leads to access to the 2 car garage with electronic doors to a bedroom and half bath. The upper floor accommodates the large kitchen/dining/living room area, laundry and garden access along with veranda space to enjoy the views. On this level is also 2 guest bedrooms with shared bath and a half bath. 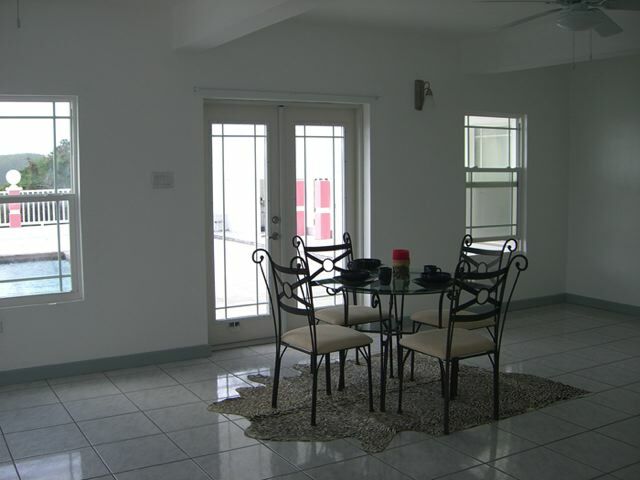 The kitchen is open plan with large breakfast bar and stainless steel appliances. 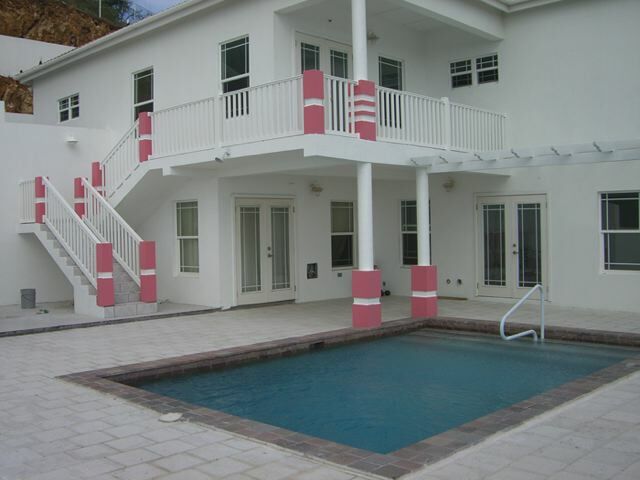 A large covered veranda surrounds this level and leads to the pool area and sun deck. The master bedroom with walk in his and hers closets and a beautiful en-suite bathroom is a stunning 26 ft x 17 ft and surrounded by large windows allowing the room to enjoy natural light and the stunning views of Frigate Bay. 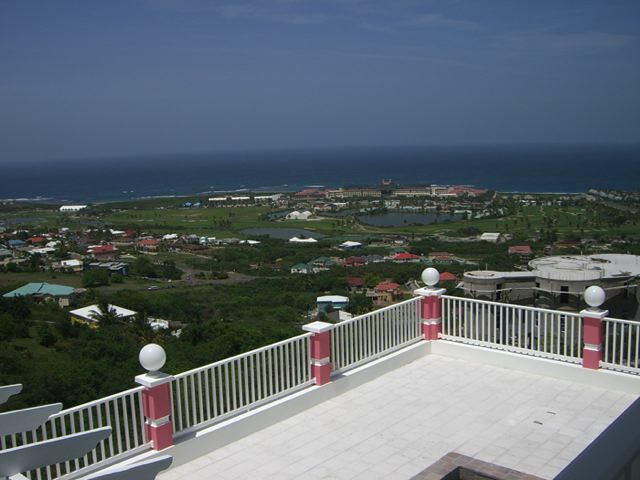 Large verandas surround the property and access to the pool from the veranda is available to the master bedroom A self contained 1 bedroom apartment/nanny apartment completes this property. This home is sold unfurnished.